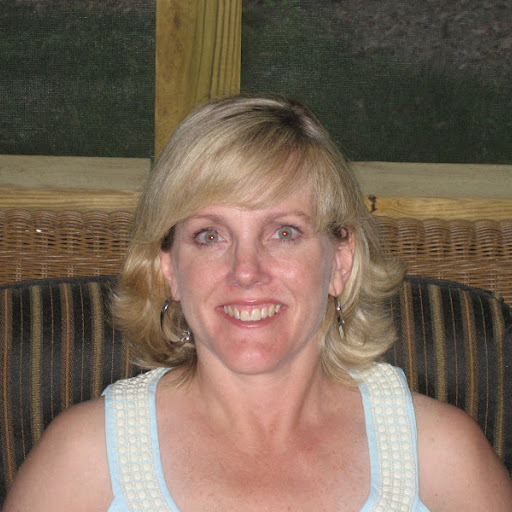 Secret Stories® Phonics Blog with Katie Garner: The 'Grown-Up' Reading & Writing Phonics Secrets! 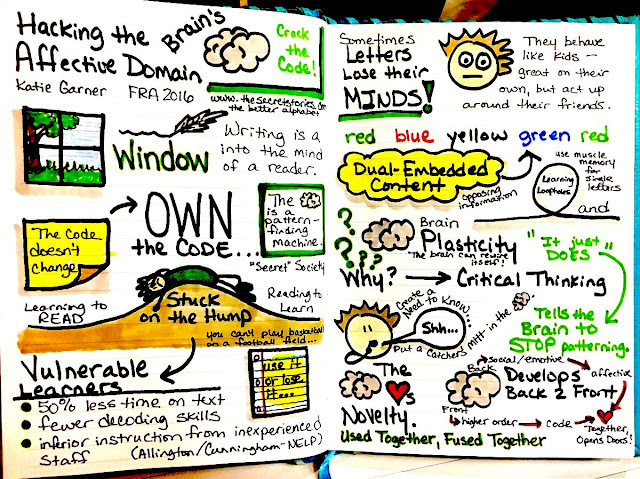 "Cracking the Reading Code with the Brain in Mind!" 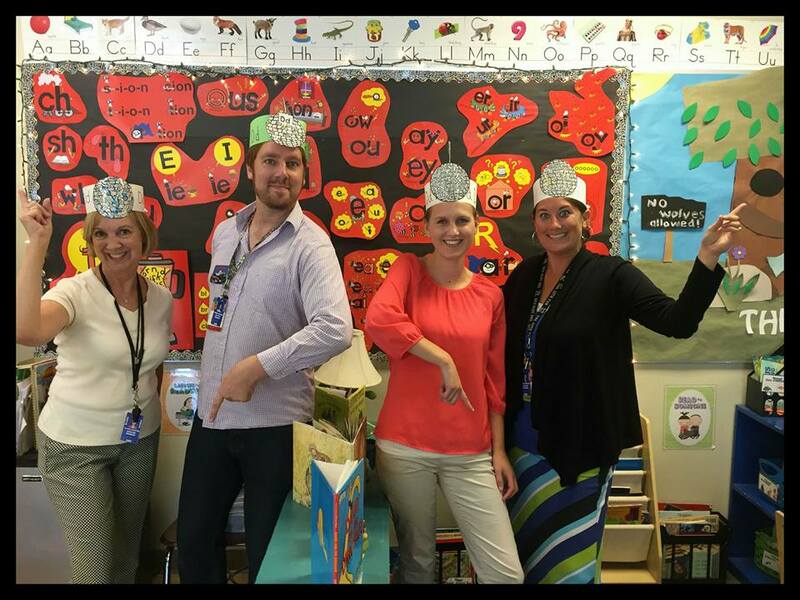 Brain Based Tools that Make Phonics Make SENSE! The 'Grown-Up' Reading & Writing Phonics Secrets! The Grown-Up Reading & Writing Phonics Secrets! What letters do when they don't do what they should! Have you ever wondered WHY letters make all of the crazy sounds that they do? Or how you could possibly make them make sense to a five-year-old who just wants to play with their shoe and lick the carpet? They behave beautifully and do just what they should (i.e. make their proper sounds) when they are separated and can't get a hold of each other.... like, for example, when they're up on the wall. But when they get together, all bets are off and the bad behavior begins! You Can't Think Outside the Box Unless You Know What's IN It! But like us, letters also have "Secrets!" And knowing their Secrets makes it easy to understand their behavior. 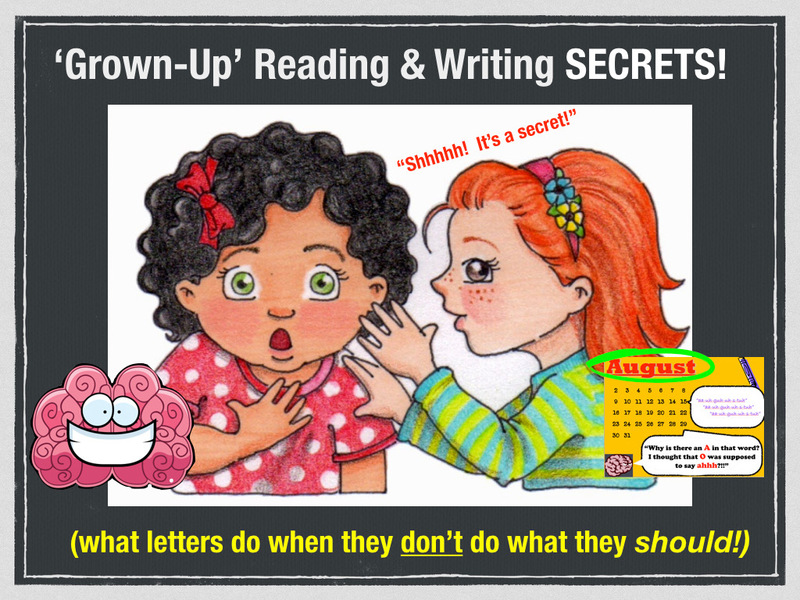 These are the "grown-up" reading and writing Secrets! 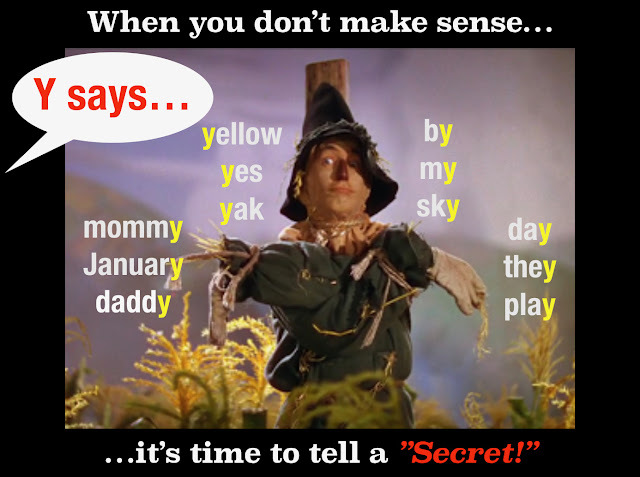 Teachers who know the Secrets never have to say to their students, "It just is....It just does...You just have to remember" when telling them how to sound out or spell a word. They just tell them its Secret! When I used to teach kindergarten and first grade, I would often tell my kids that they were "too little" to hear the "BIG grown-up Secret" that they'd spotted in a word, and that if they ate lots of vegetables every night that week, then their brains might be big enough by Friday for me to tell them! Needless to say, the parents of my picky eaters (half my class) thought I was magic, as their kids never could explain clearly enough for them to understand why exactly they were gorging on vegetables every night! "What letters do when they don't do what they should!" By transforming letters and sounds from "skills they have to learn" into Secrets they want to know, we can align phonics instruction with learners "need-to-know" which marks the information for memory and prioritized learning in the brain. Doing so forges deeper learning connections for easier skill retrieval. Sparking a 'Need-to-Know' for Prioritized Learning! Within this learner-driven context, the instructional-tables are turned, as students beg their teachers for more and more pieces of the reading and writing code! 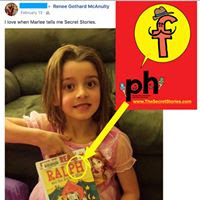 Do YOUR kids know the "ph" Secret? 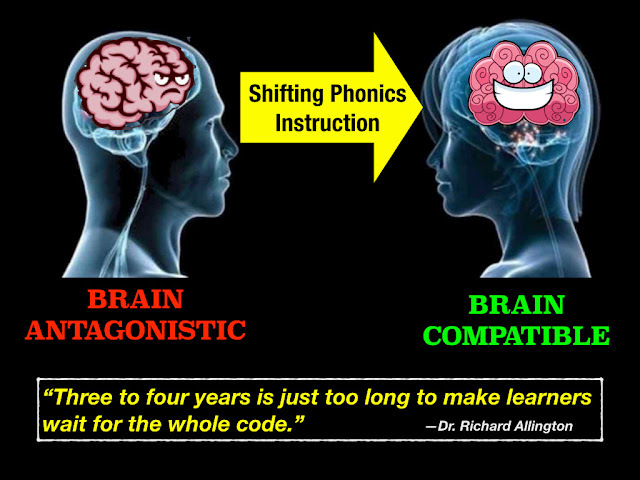 And here begins the shift from "Brain Antagonistic" to "Brain-Compatible" instruction, allowing for twice the learning gain in half the time and with half the effort. The result is an ongoing, student-driven cycle of learning that is natural and seamless. 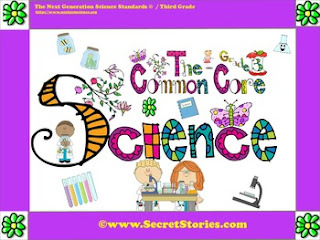 Learners' desire to know more Secrets catapults phonics skill introduction beyond traditional, grade level walls, empowering early learners with accelerated access to the "whole" reading and writing code. "Three to four grade level years is too long to make learners wait for access to the whole code." Click here to learn the au/aw Secret! Au & aw have HUGE crushes on each other! "Just look at all of the words that have this grown-up reading and writing Secret: Autumn, awful, awesome, Austin.... 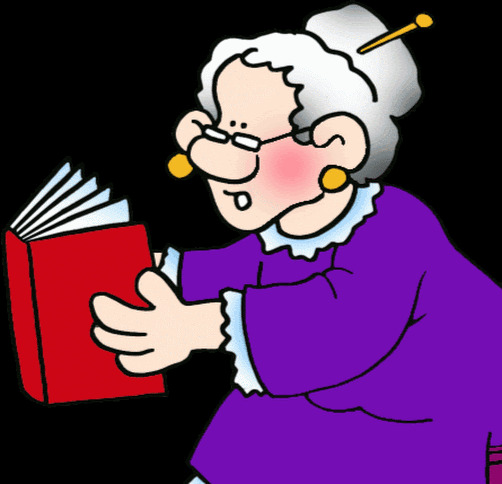 If you didn't know the Secret, you wouldn't be able to read these words, but now you know the grown-up reading & writing Secret!" The word August was written in big, bold letters at the top of our morning calendar, which we would be reading and talking about on a daily basis. Moreover, had any of my little guys actually known the letter A sound, not explaining it would have been like tossing a giant monkey wrench into their existing pattern (i.e. what they thought they knew about the letter a). Not accounting for this obvious discrepancy would not only make me look like the world's biggest liar every time we sing our BETTER Alphabet Song, but it defy the brain's system for learning as a pattern-making machine. Patterning is the brain's way of doing things. It is the essence of how we learn. The brain is always seeking-put patterns and creating new ones. This is the learning process. 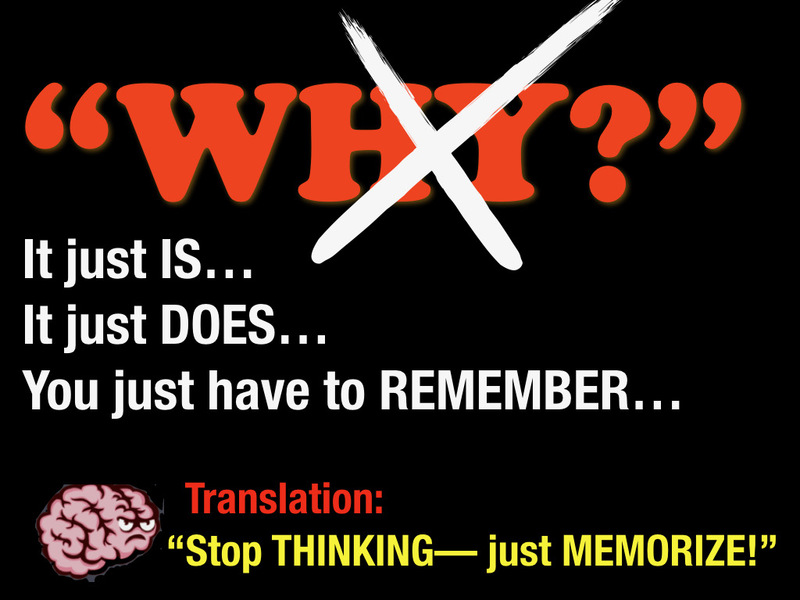 It is critical thinking at its most basic level. 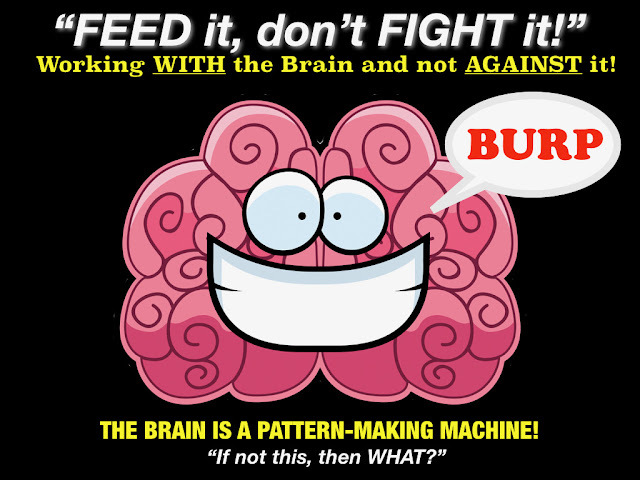 Patterning is, in a nutshell, the brain's way of doing things! 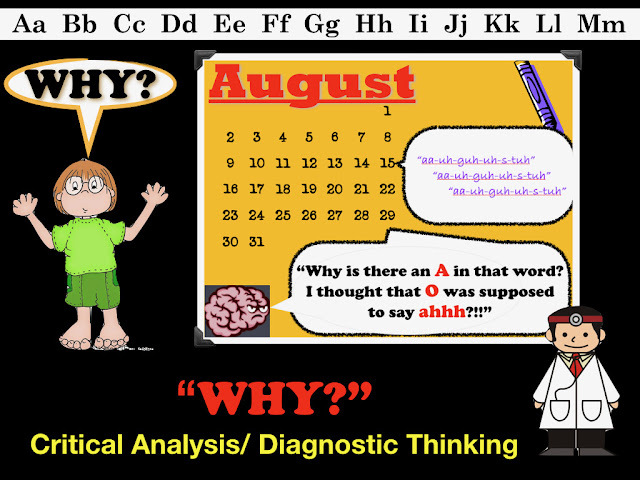 And this is yet another example of how we can use the brain science to inform and enhance our teaching practices as we shift phonics instruction from brain-antagonistic to brain-compatible! 1. 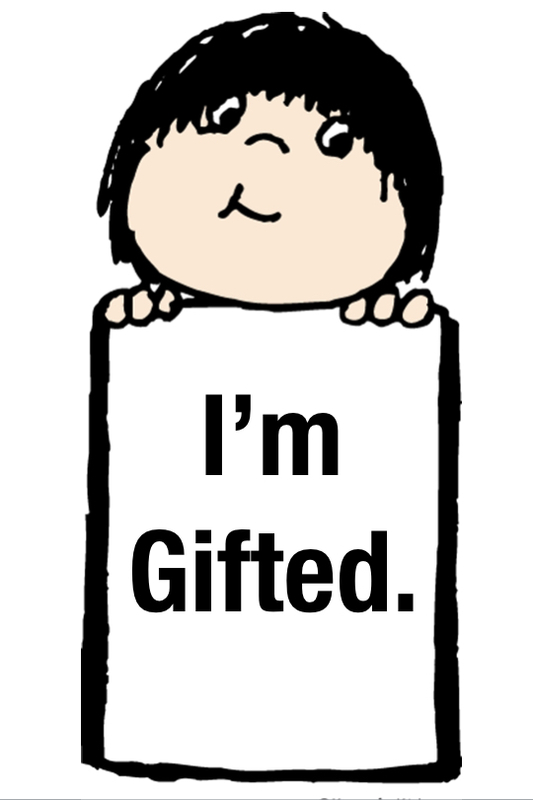 A little boy named Johnny (who had come to school with a note pinned to his shirt, by mom, telling me he was gifted) pointed to a sign above the fire doors and yelled, "Look! The letters that are in love are in that word! Aaahhh-to-maaa-tik...... aah-to-maa-tik...... AUTOMATIC! Hey, I can read that word!!!!" 2. A little girl (who thought her name was Lulu when it was actually tually Leslie and had been playing with her shoes most of the morning) also yelled out, "Look teacher, look!" (pointing to the same sign above the fire doors) "Ahhhhhh.... ahhhhhhh.....We LOVE letters....ahhhhhh!" while simultaneously making the "in-love" gestures—arms to the side, head tilted, batting eyes—the whole works! 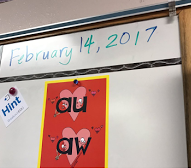 These two very different, yet equally awesome outbursts demonstrate why telling that particular Secret on that particular day was ABSOLUTELY the ideal, not to mention perfectly developmentally appropriate for both students— regardless upon which grade level scope and sequence the au/aw phonics skill officially falls. 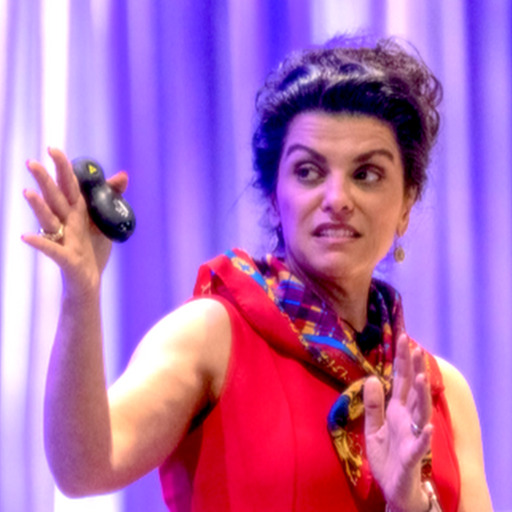 High, medium or low—the Secrets can be readily shared with ALL learners, with no harm and no fowl, as we're not "teaching" skill, we're giving them. It's like food that's been laid out on a buffet, ready for the taking, but without any expectations....just lots of modeling and use. Both learners were "given" the same key to unlock text at the same time. One understands that it can be used to unlock words and one does not, but they both have the key, and that's what counts! Accelerated Access to the WHOLE Reading & Writing Code! Knowing the Secret gives Lu-Lu the same skill base that Johnny has. She just doesn't know quite what to do with it yet, which is why modeling of its use is key! Lower-level learners cannot afford to miss the bus and be left behind grade level skill for skill introduction, as they need more time to incubate them, not less. By giving Lu-Lu the same "keys" (i.e. Secrets) to unlock words that Johnny has, we eliminate the learning curve and waiting time. That way, once her little light bulb pops on, she is ready to "hit the ground running" and start using the Secrets she already knows to read and to write. 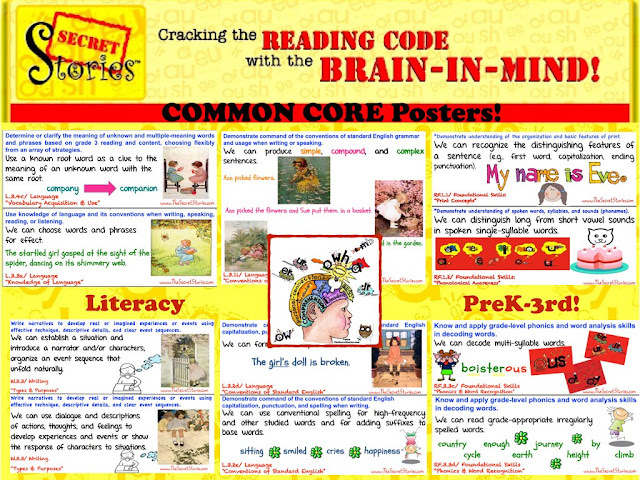 Otherwise, learners like Lu-Lu often don't acquire these critical pieces of the code to successfully cross over the instructional-hump that is learning to read in K-2, so as to be prepared to read to learn in 3rd and beyond. Note the "instructional-hump" so clearly depicted (mid-page, left) in these awesome sketch notes! The brain develops back to front, with the earlier-developing, affective "feeling" networks more primed for learning than the slower developing, higher level, processing centers. It's through these backdoor learning channels that the au/aw Secret is so easily acquired by both Lu-Lu and Johnny. And whereas Johnny is ready to take the next step and use it for a purpose (i.e. reading and writing), Lu-Lu is not... but she owns the Secret! for accelerated, early learner access to the code! "It is literally neurobiologically impossible to think deeply about things you don’t care about. Deep understanding depends on making emotional connections between concepts. Emotion guides our learning. If something is emotionally stimulating, it is marked for memory and prioritized for learning in the brain." And if you really want really want to see what engagement can look like in an "impromptu" phonics discussion, check out these first graders from Mrs. Mac's First Grade Class. It's one of my all-time favorites! 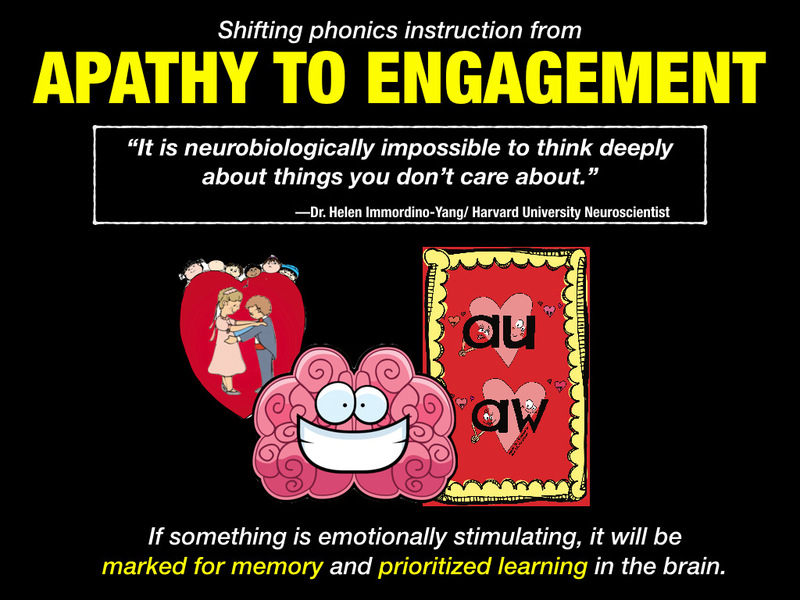 Channeling phonics skills through the brain's backdoor via social-emotional "feeling" domain makes learning easy and effortless. 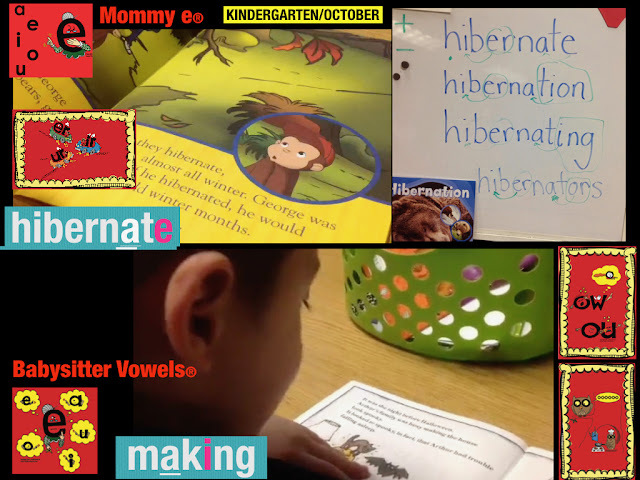 By embedding high-leverage, phonics skill concepts (like Superhero Vowels®, Sneaky Y®, Mommy E® and Babysitter Vowels®) into familiar, social and emotional "story-based" frameworks, inexperienced (and upper-grade, struggling learners) are easily able to predict the "most" and "next most" likely sound behaviors of letters in text— even in words they have never seen before. Yep, it's really THAT easy!!! 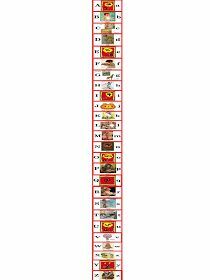 Watch this quick clip to learn the Secrets of the Superhero Vowels®, Sneaky Y®, Mommy E® & the Babysitter Vowels® and start sharing them with YOUR class tomorrow! 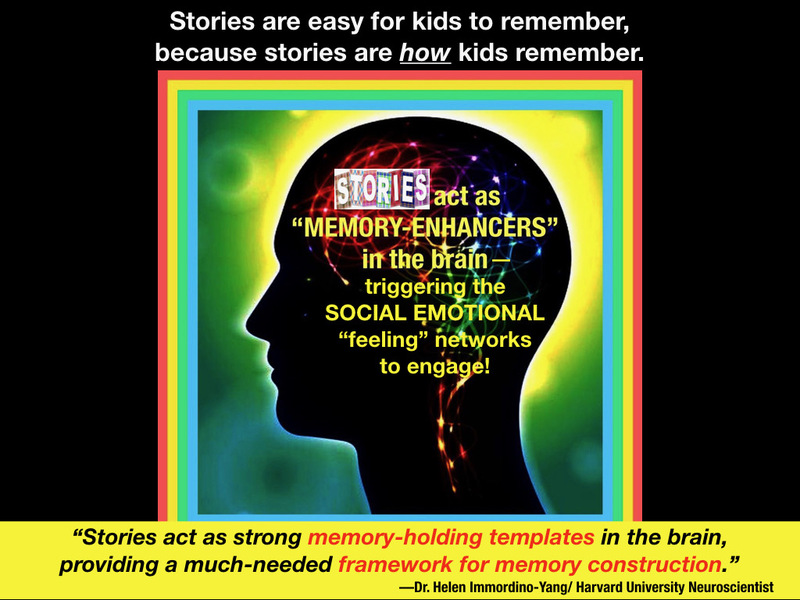 Stories put the whole brain to work and are the most effective way to activate multiple areas of the brain simultaneously for enhanced, multi-sensory learning. That's is not to say that all learners will immediately apply the Secrets they know to reading and writing, as doing so requires a certain level of developmental and cognitive readiness be attained, but like Lulu, learners can build the visual acuity needed to easily recognize the pattern (i.e. Secret) in text and the ability to instantly recall its sound. And these are the "keys" she will need to unlock text when she's ready. So don't wait! The more tools that learners bring to the table each day, the more value they will be able to take away! "Great! My kids will know the au/aw sound, but they still won't be able to recognize the letter D!" No worries, as that part is just as easy! We don't even need any Secrets for the individual letter sounds, as when letters make the sounds that they're supposed to, all is right with the world! 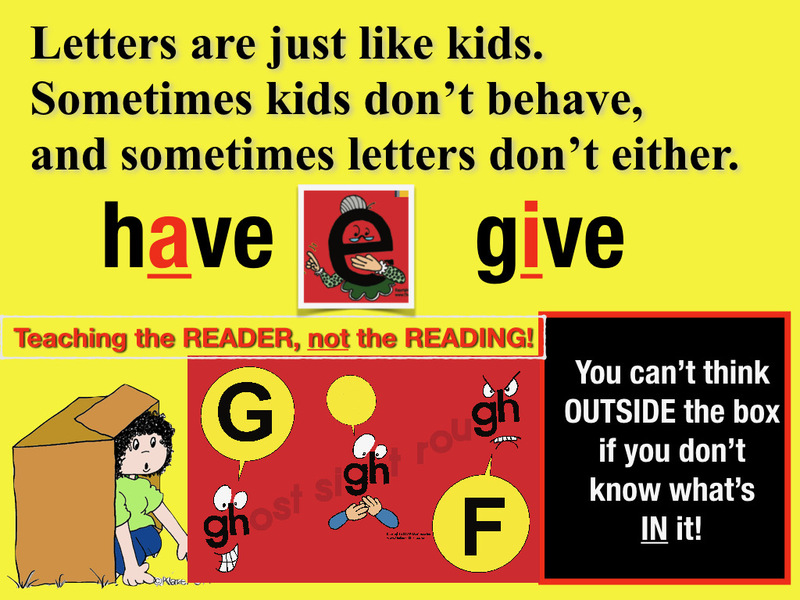 That's not to say that teaching the individual letters and sounds is easy—which is why we don't teach them, we give them! 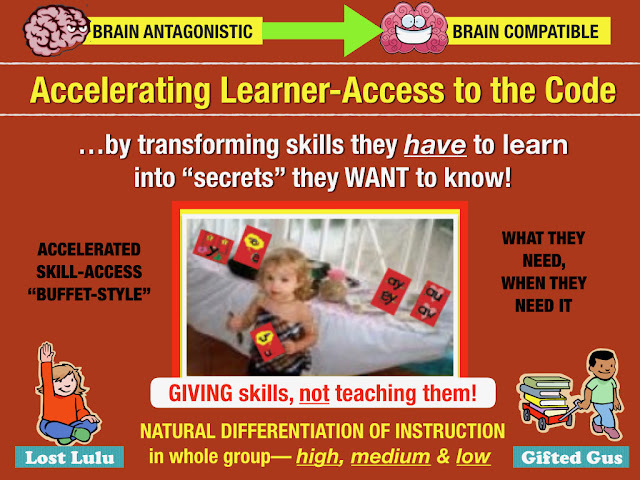 Just like with the Secrets, we can follow the brain science to access a more easily-accessible "backdoor" route for skill mastery by way of muscle memory! "How to Be More Interesting than a Shoe When Teaching Letters & Sounds"
The individual letters and sounds are easily acquired simultaneously with Secrets by tapping into muscle/motor memory via the BETTER Alphabet Song! For early (and ELL) learners, muscle memory is a far more reliable pathway for letter sound mastery than the traditional path of cognitive processing. Acquisition time is just two weeks to two months, and that's for both preK AND kindergarten! And during this timeframe, you're also tossing out Secrets (as they come up) throughout the instructional day—continually adding to learners' ever-expanding reading and writing tool-boxes! Just watch the video below to see how it's done! 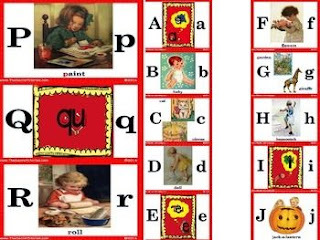 And when you're ready to take it up a notch, you can try your hand at the Letter Runs! They can be sung backward and forward, and to ANY tune to keep that bar high! Click on the link under the picture below to hear the Letter Runs sung, "Jedi-style!" 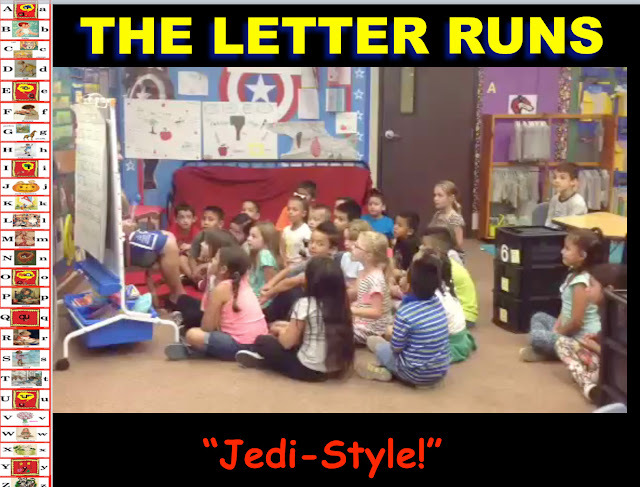 Click Here to watch the Secret Stories® Letter Runs— "Jedi-Style"
For more free musical brainteasers, click here! Never Miss a Secret! Subscribe to the Newsletter! 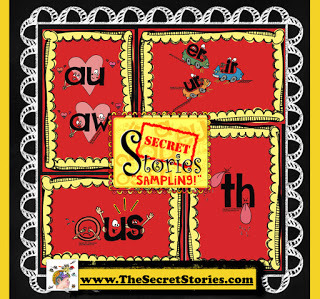 And don't forget to grab the FREE Secret Stories® Sampling and start sharing the Secrets in your classroom! You can also grab the FREE Common Core Literacy Posters with Secret Stories® phonics graphics-supports, as well as the free FREE "made-to-match" Science Posters... all of which are pictured, below. My students refer to the Secret Stories posters constantly! They are BY FAR the most- used resource in my entire first grade classroom!! You and Deanna are both just so amazing! Thank you both so much.... what an inspiration this is!!!!!! Wow, thank you, that's so wonderful to hear! And your students' frequent and ongoing use of the SECRETS is actually a testament to YOUR teaching and the abundance of opportunities you obviously provide to engage with text! And the fact that your students DO take the time to reference the SECRETS when they read and write only further indicates that the literacy opportunities you provide are personally meaningful to them..... so congrats to you again!!! Your stories are fabulous. I teach a group of 26 first graders with very diverse needs. Your program is both visual and auditory and the children "hook on" to the stories easily. They can imagine the t and the h that sticks out their tongues when they stand together because they have learned the story behind the sounds. My ESOL students love to retell the stories and feel excited to apply what they know when they are reading. Last year, I bought your program. I don't have your new posters but they look great. Thank you for finding a method that reaches so many students. And thank YOU for taking the time to post and let me know!! Building that excitement is more than half the battle so keep up the great work and definitely keep me posted here and/ or on the Secret Stories blog..... You might just be a monthly winner of a new Secret Stories kit!!! I'll keep my fingers crossed for you! I am so excited I just read your Secret Stories posting on Deanna Jump's Blog! 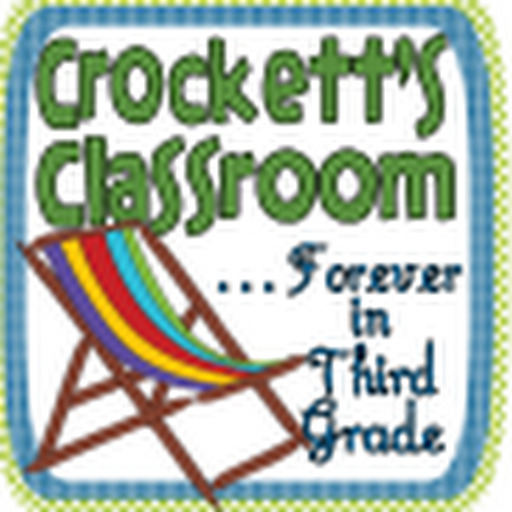 I can't wait to get your program so I can use it in my Kindergarten classroom!! I'm always thrilled when I find one more piece to use in my room to add to the foundation of "bricks" they need while keeping them engaged and excited! Thank you to both of you! I love the "foundation of bricks" analogy and you are so right! The SECRETS simply provide a way for learners to 'own EVERYTHING yesterday' when it comes to ALL that is necessary to read and write, thereby shifting focus to the REAL goal of the game....reading for meaning & writing for a purpose! Requiring learners to wait until the 3rd grade for comprehensive sound-skill ownership (especially when we're requiring students to begin reading and writing in Kindergarten) just makes NO sense..... not if there's a developmentally appropriate/ 'backdoor-way' for learners to own them all from the get-go! Prolonging introduction/ acquisition of these critical skills over a period of multiple YEARS is what causes learner-focus to remain on the 'bricks' rather than on getting 'up and over the wall' where the REAL fun begins!!!!! I teach preK (4 and 5 year old class) and my little guys just eat the Secrets up! I also used your Better Alphabet Song (from your CD) and honestly I was was blown away that the little ones were actually able to pick up the individual letter sounds so quickly! It's just unbelievable what they can do with these and how much it changes everything you do in the way that you teach! Sounds like you could write my next 'Secret Session' post!! 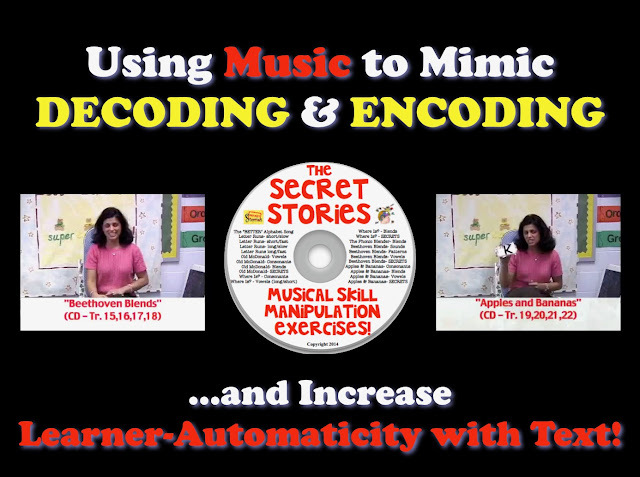 That's awesome to hear and I'm thrilled to hear that you're using the SECRETS in preK, as so many times I will see preK teachers shy away everything but the music pieces on the CD and it just kills me! 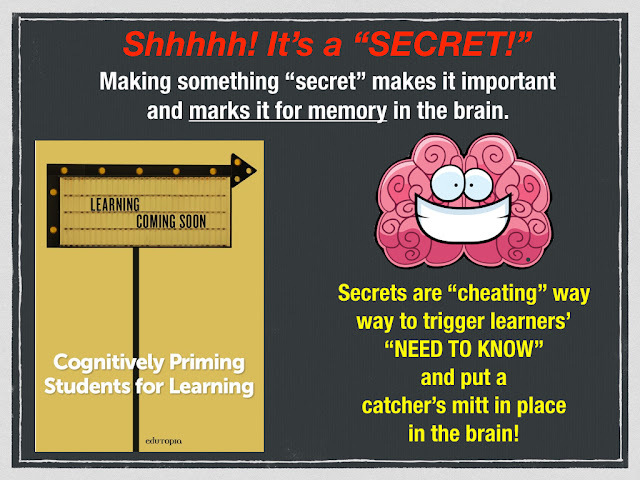 Telling SECRETS in preK & K is like taking your class to a buffet- those who are are hungry for them will eat them and those that aren't will still enjoy going along for the ride, establishing a sort of "catcher's mit in the brain" in preparation for future recognition & instruction!! Thanks so much again for posting and I hope you will share more about your experiences so as to inspire other preK teachers to take the leap in rethinking what's possible at that level! I have not seen your secrets before, but it looks like a wonderful way to teach how and why these blends make the sounds they do! I'll certainly be using much of your intel! Thanks so much for sharing ~ I think my kids are really going to latch onto these tips and be much better readers for it! I love this! What a great way to introduce/teach those pesky digraphs! .... and vowel combos, and blends, etc..!! As we move forward with Secret Sessions I'll be sharing the 'secrets' for EVERYTHING that happens in language at least '5 times or more' so as to ensure learners have logical explanations for why letters do (or don't!) make the sounds that they do... so stay tuned! So cute! All kids love secrets. Wonderful way for kids to remember this sound. Thanks for posting! Would love to know what grade level you teach and for how long you've been using them? I found you through Deanna jump and I am very intrigued by this! 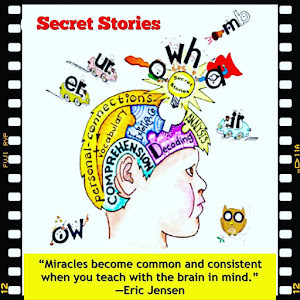 VISIT SECRET STORIES® WEBSITE!! Click on the image, above! Thinking Like a Doctor and "Working Through the Options"
Social Studies Standards Posters for ANY State! The NEW Secret Stories® Phonics Book— Version 2.0! Posting Secret Stories® Phonics Posters! 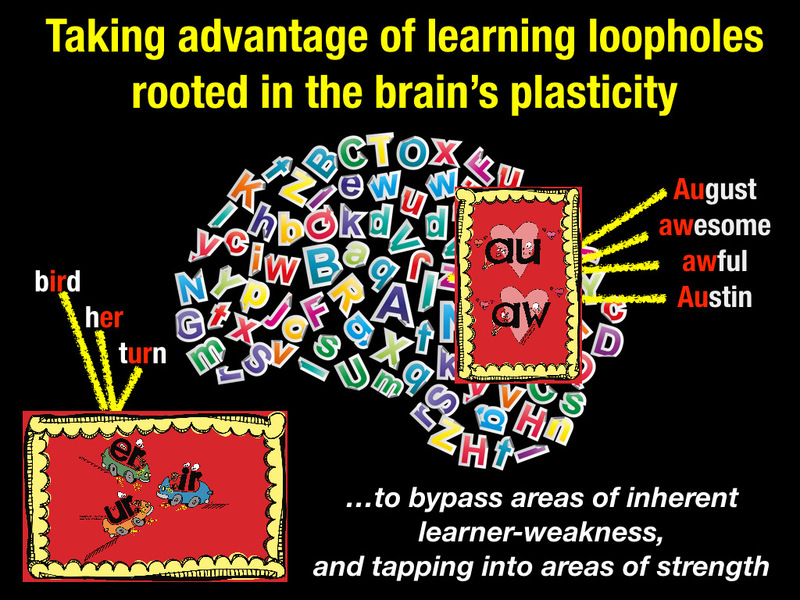 Loopholes for Learning — The Secret Stories Superhero Vowels® and their "Short & Lazy" Disguises! A New Secret Stories® Blog!